Molly graduated valedictorian in 2012 from the Soma Institute National School of Clinical Massage Therapy, and has provided massage at a number of events including the Chicago Marathon, the AIDS Ride, and the Mental Health America of Illinois’ Mental Health & Wellness Fair. She also volunteers offering Reiki at the Jesse Brown VA Medical Center and has worked with patients at the Rehabilitation Institute of Chicago. Molly is a Level 4 (Master Teacher Level) Reiki Practitioner and a co-founder of the Midwest Reiki Community. Reiki is a powerful energy-based holistic healing system that relieves stress and boosts the immune system; it also helps to alleviate pain, depression, anxiety, insomnia, PTSD and other emotional and physical ailments. You can learn more about Reiki here. 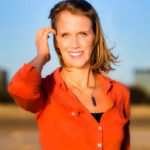 Molly believes that as we tune in to our bodies we become more present physically and beyond, and we become open to all the possibilities that life offers us – including joy, laughter and deep connection to self and others. On her own healing journey Molly has benefited from Reiki, bodywork, yoga and psychotherapy as complementary modalities and encourages her clients to explore what works for them and to approach healing from a truly holistic perspective. Prior to studying massage and Reiki, Molly worked for over a decade in community-based research with underserved communities and also served as a U.S. Peace Corps volunteer in the Dominican Republic. She holds a B.A. in Organizational Studies and a Masters in Public Health, both from the University of Michigan. Molly is also a former marathoner and a dedicated student of Forrest yoga. In 2018, Molly created the podcast Beyond MeToo: Healing the Wounds of Sexual Trauma, which asks the question, “Where do we go from here?” at both the individual and collective levels. Learn more here: https://www.mollycoeling.com/beyond-me-too-healing-the-wounds-of-sexual-trauma-podcast/ or subscribe on iTunes, Google Play, Stitcher or Spotify. I do not directly inquire whether clients have suffered sexual violence, but some clients share this information with me more organically. Additionally, I am certain that a number of my clients have suffered sexual trauma but have not communicated this information with me directly. I work with all of my clients with the assumption that they may be healing from trauma, sexual or otherwise, and this is reflected in my communication style and therapeutic approach. I strive to provide a collaborative healing environment, providing a space within which clients can move safely toward healing and wholeness. In addition, over the past three years I have offered Reiki to a number of groups who have experienced intense trauma, including veterans and homeless women, as well as women who are in substance abuse recovery and living at a halfway house. Also, in my previous career I worked in a direct intervention and data collection capacities with high-risk populations who were exposed to high levels of violence. I am interested in working with survivors primarily because I am a survivor who is deeply grateful for the embodiment practices that moved me forward on my path toward deep healing. Having lived nearly twenty years without even the most basic understanding of my own trauma, I know firsthand that it is never too late to heal. This is the gift I seek to share. Our bodies serve as a reservoir for our life experiences – a sort of living and breathing memory box. During a traumatic experience our body switches into “fight or flight” mode and focuses on basic survival, doing whatever it needs to do to keep us alive. Because of this amazing capacity for self-preservation, the processing of the emotional impact of the experience is often left undone and is stored in our body and in our energy field, manifesting in all sorts of unhelpful and/or unpleasant ways. Hence the common symptoms of Post-Traumatic Stress Disorder (PTSD), such as pain, insomnia, numbing out, flashbacks, addictions and emotional instability. With bodywork and energy work this stored trauma can be released in a safe and incremental way. I work with my clients’ physical and energetic bodies by listening through feeling, as well as direct communication with the client. I only work as deeply as the body tells me it is ready for, and I educate my clients as to what I am doing and why. This collaborative environment allows for healing to progress at a speed and manner which are comforting rather than triggering for survivors of trauma. Regardless of whether I have knowledge of a client having experienced trauma, I work with all clients in a manner that allows them to feel safe and in control. For example, I encourage open communication before, during and after sessions. I conduct an intake process with all new clients that includes an intake form as well as time to sit down and discuss goals and answer any questions that the client may have. I also discuss with them the importance of using their breath, tuning in to their body during sessions and explain to them what is “too much” so that they feel they know when and how to speak up. When a client experiences sensations that come up as stored trauma is accessed, accompanying feelings of shame, fear or confusion can arise. In order to minimize these unhelpful secondary emotions, I aim to normalize the process by providing support and guidance through the process of emotional, energetic and physical release. Prior to studying massage and Reiki, Molly worked for over a decade in community-based research with underserved communities. In Chicago she worked to improve youth violence prevention efforts, primarily on the west and south sides, implementing research for University of Chicago School of Social Services Administration faculty. Molly also implemented cancer prevention interventions among high-risk groups in Boston as a project manager for Harvard School of Public Health faculty. Prior to that she served as a U.S. Peace Corps volunteer in the Dominican Republic from 2003 to 2005. She holds a B.A. in Organizational Studies and a Master of Public Health, both from the University of Michigan, and is bilingual in English and Spanish.